Viktor Blom is well known in the poker circuit, and has made substantial wealth in the world of Poker. He is best known for his aggressive games at multiple tables. We are talking of none other than Viktor Blom, popularly known as Isildur1. This young man has made many sensational moves at the tables and the world of poker will always remember him for his ‘dangerous’ games. We love exploring the lives and games of renowned poker players and in this article, we will focus on Viktor Blom. We will look at his early life, how he started playing at poker tables, his biggest wins and losses, personal life, and of course, Viktor Blom net worth. Let us go right in and explore the world of Isildur1! 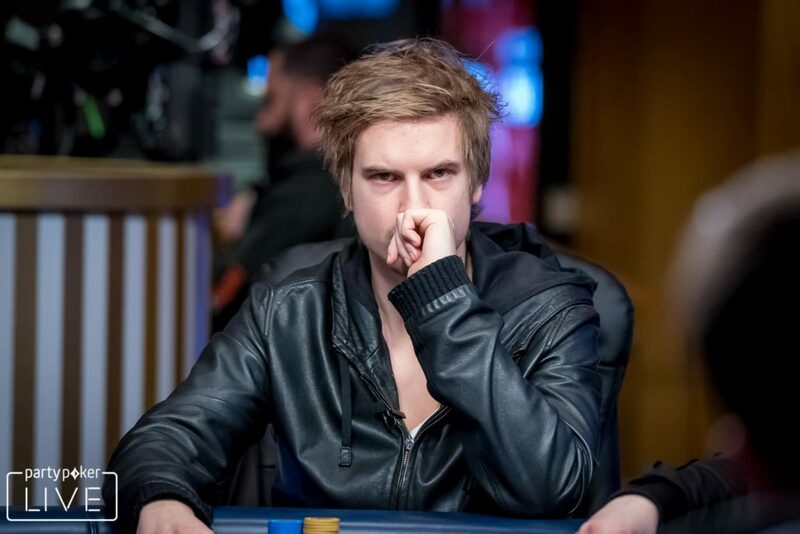 Born on the 26th of September, 1990, Viktor Blom is a Swedish high stakes poker player. He is best known for his online poker games under the name of Isildur1. He is popular for his aggressive play at multiple tables, especially at his favorite games of Pot Limit Omaha and No Limit Texas Hold’Em. Blom’s rise to fame has drawn significant attention across the poker community in 2009 when he participated in all the ten largest pots in the history of online poker. He is very unpredictable and he has taken some exceptional risks at the tables that even the best of poker players shivers at the thought of. Viktor bankroll has consistently rise and fall heavily at the speed of lightning. In the year 2010, he became a member of Team PokerStars Pro, even before gaining popularity in the world of poker. In the January of 2011, Viktor’s identity was finally revealed to the world by PokerStars during the PokerStars Caribbean Adventure. In August of 2012, Blom left PokerStars and by October of 2012, he was signed up by Full Tilt Poker. He was partnered with Tom Dwan, a rival high stakes professional player. Viktor was first introduced to the world of poker by his brother at the age of fourteen. He started out with No-Limit Texas Hold’Em heads up with his brother and he played this game for a couple of days. Before long, he taught his friends and began to play micro stakes with his friends. Blom won a couple of games from his friends and within a short period of time, many people at his school got to know that he has started playing poker games. He and his friends regularly played with buy-ins of between $3 and $7 during lunch break in school. According to Viktor, in one of such lunch break games, about 25 students turned up to play with him and he ended up winning the 1st place among the 25 players. At the age of 15, Blom and his brother made up their mind to take their games a notch higher and began to deposit money at online poker site to play. The duo entered their first ever game at MTT and won in the 5th place with a $300 cash prize. At this time, this was huge money for the brothers. Few weeks later, the brothers split account and started playing separately. At this point, Viktor created an online poker screen name, ‘blom90’ and within a few weeks at the game, he was consistently playing at $530 USD sit‘n’go. After a couple of months at the game, Viktor Blom net worth was in excess of $275,000 at different sites. He was barely 15 at this stage and from this stage onwards, Viktor became a professional poker player. It was at this stage that he began playing high stakes and started exhibiting his excessive gambling streaks. After winning the $275,000, he withdrew the entire money and deposited it on one site. He took on higher buy-in cash games as well as sit‘n’go. Unfortunately for him, he lost all the money at a go. He didn’t give up though; he began building his bankroll all over again and deposited $3,000 at the same time. He started playing high buy-in sit’n’go and started making more winnings and increased his bankroll. 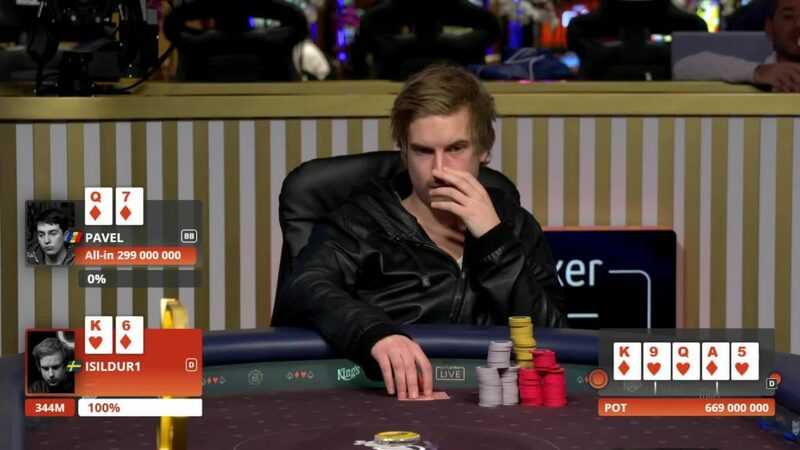 Viktor Blom built his bankroll to $50,000 and started playing at $310 sit’n’go regularly. Unfortunately, he lost everything again. He decided to take a break from poker and shortly after, he returned to the tables. At his return, he made a deposit of 10,000SEK and began playing only No-Limit Hold’Em Heads-up. He moved from playing only ½ SEK to a large 50/100 SEK. At the age of seventeen, he made a deposit of $2,500 USD at PartyPoker and within two days, Viktor had made over $200,000. He participated at another hot streak at iPoker and made a huge winning of above $1.7 million USD within a period of two weeks. At the age of 17, Viktor Blom net worth was significantly impressive. Not long after this, Viktor lost interest in the site because he was no longer getting exhilarating actions, so he decided to look for another site and create a new name. After leaving iPoker, Blom began looking around for the perfect site to take his games to and on the 16th of September 2009, he moved to Full Tilt Poker and registered under the name, Isildur1. He remained obscured until November of the same year when he started playing with popular poker pros in the industry. He began playing with Phil Ivey, Tom Dwan, Cole South, Patrik Antonius, and Brian Townsend at stakes that are as high as $500 and $1000. On the 15th of November of the same year, he reached a zenith with a total winning of $5.98 million USD. This winning undoubtedly attributed to Viktor Blom net worth to a large extent. Known as an incredibly aggressive poker player, it was not surprising to discover that his net worth went down to $2 million within few weeks. He made about $4 million loss on the 8th of December. He made this loss to Brian Hastings when he played Heads-Up $500/$1000 Pot-Limit Omaha with him for a period of five hours. Until February of 2010, Isildur1 was noticeably absent at Full Tilt Poker, except for few appearances once in a while. According to the insider interview of Full Tilt Poker with another poker pro, Patrik Antonius, Viktor Isildur1 had a total bankroll of just $2000 in the autumn of 2008 and by September, he had built his bankroll to a total of $1.4 million USD and started playing at Full Tilt Poker. His first game was with a high stakes regular, Haseeb Qureshi, at $100/$200 high stakes. Within 24 hours, Viktor Isildur1 had made about $500,000. He went low for a while and returned a month later to play with Brian Townsend, Cole South, and Patrik Antonius at $200/$400 tables and $500/$1000 tables. He made a million dollar loss at these series of games. According to a columnist with HighStakesDB, a monitoring website that tracks high stakes online activity, Blom was too aggressive at games which could result in a big loss for him playing against elite in the poker industry. Interestingly, he didn’t respond with words; he went ahead to win about $2 million USD from South and Townsend in October 2009. With over $1 million profit on Full Tilt Poker, Viktor was at six $500/$1000 No Limit-Hold’Em Heads-Up tables for any player who is willing to challenge him at such stakes. Tom Dwan was his first opponent at this game. Known as one of the top players in online heads-up, Dwan was indeed a formidable opponent for Blom. The duo simultaneously played at six tables with more than one million dollars in game for a period of one week. At the end of the one week, Viktor had made history in online poker, with a winning of about $4 million USD from Dwan. Known not to give up, Dwan issued a live challenge for a game with Isildur1 at Full Tilt Poker Durrrr Million Dollar Challenge. Viktor also challenged Antonius the following day to a rematch and he won a total of $1.6 million USD from him, making Viktor Blom net worth from winnings at Full Tilt Poker reach a peak of $5.98 million USD. He didn’t stop at this; he went ahead to challenge Phil Ivey to play at three tables of $500/$1000 stakes at Heads-Up No Limit Hold’Em. Famous for being one of the best players in the world, Phil Ivey displayed gaming dexterity at his game and by the end of the first week at the game; Blom had lost about $3.2 million to Ivey. Isildur1 later acknowledged in an interview that Phil is the toughest opponent that he had ever played with. Isildur1 made another history in online poker when he made a loss of $3 million USD to Antonius on a single day. He was challenged to a rematch in Omaha by Antonius and even though he was not very good at the game, he went for it and in just a day, he had made a huge loss of $3 million. This was the biggest loss ever in the history of online poker. Just one month later, the table turned when Isildur1 played with Brian Hastings. A rematch game of Omaha was played the following day and Blom won a total of $2 million USD back from Antonius, which was another record on Isildur1’s part. He maintained this winning for a while until he played for five hours with Brian Hastings in December of 2009. At this game, he lost a total of $4.2 million to Hasting which made it the biggest loss in the history of online poker in a single day. No one has been able to break this record till date. It was later discovered that Townsend, South, and Hastings shared information about Viktor’s 30,000 hands. This action was described as compiling or accessing information about other players over and beyond what the user has personally seen through their own game play. After this admission at an interview with ESPN, Townsend was denied some of his personal privileges and red pro status as a sponsored Full Tilt Poker player for the duration of 30 days. Viktor’s game at Full Tilt Poker between the month of September 2009 and October of 2010 at 50/100 stakes and above led to a total loss over $2.6 million USD. In the December of 2010, Blom partnered with PokerStars to launch a four table Heads-Up cash game pot limit Omaha and No-Limit Hold’Em ‘Superstar Showdown’ challenge. He issued this challenge to anyone that is willing to play at least $50/$100 stakes for 2,500 hands. This was something like the Million Dollar Challenge created by Dwan Durrrr. In the March of 2012, Viktor won against Isaac Haxton winning $500,000 in the $1 million $200/$400 Heads-up challenge. In May of the same year, Viktor won the SCOOP tournament at the #2 Med No-Limit Hold’ Em event with $247,200 cash prize. He also won the #3 High No-Limit Hold’Em Rebuy for a total of $160,000. In the month of May, 2013, he won the $10,300 buy-in SCOOP Main Event for about $1 million USD. Viktor left Team PokerStars Pro in August of 2012 and by 2015, he won a large $3.5 million USD at PokerStars’ cash table. Not long after, he made a loss of $1.75 million at Full Tilt. This puts Viktor Blom net worth at $1.75 million USD coming from his winnings in that year. In 2016, Full Tilt closed down and this greatly impacted on Viktor Blom net worth as he was down by about $735,000. Nevertheless, he played at the WCOOP and finished at the 3rd place in the $530 No Limit Hold’Em Event 55. He made a winning of $72,861 at this event. Isildur1 went out of the scene for many months and his absence at some of the biggest online tables was noticed and widely discussed within the poker community. He came on the scene again in 2017 and participated at the SCOOP Festival on PokerStars. He played at most of the events and accumulated total points of 785, placing him at the runner up spot, right behind Naza114 of Portugal. After signing up with PokerStars in 2011, Viktor started paying close attention to live tournament. He participated in his first significant live tournament during the 2010 World Series of Poker European (WSOPE) Main Event. He placed 16th for £33,582. He won his first live tournament of his career in January of 2012 during the PokerStars Caribbean Adventure. Blom participated in the $100,000 Super High Roller event and won a total of $1,254,400. By 2015, Viktor Blom net worth from live tournaments was in excess of $1.7 million USD. No doubt, Viktor has won series of online and live tournaments since stepping into the poker scene. He has also made huge profit from his Full Tilt sponsorship deals which earned him at least a six-figure salary every year, Viktor Blom net worth remains largely unknown. The reason for this is because of his various large losses as well as winnings. However, according to an online report, his net worth is placed at about $5 million USD. He is ranked as 22nd on HighdtakesDB list of the biggest poker winners in history. For a very long time, Viktor remained anonymous in the poker community, not because he couldn’t reveal his true identity but because he choose to remain low and enjoy the normal life with his friends without the paparazzi that comes with fame. For his parents, gambling is not something they want for their son. His mother reportedly said that it was quite shocking to imagine millions of dollars exchanging hands on a daily basis in poker. She reportedly made this comment after Viktor lost his entire bankroll in 2008. Blom admitted that his stay in London as a twenty one year old with so much money might have led him to partying too much to the point of playing high stakes. Many have concluded that this might be the reason he has chosen to live in a little town in Sweden, far away from so many distractions. Although he is far from the clubbing and partying associated with the fast life of London, he is still very much involved in the Sweden’s summer parties, Midsummer’ which he participated in regularly. Viktor is a big fan of soccer and he is known to post series of pictures of him with his friends, playing pool. Viktor Blom is no doubt an interesting poker player. He has made great winnings and some massive loss. In it all, he still remains a professional poker player worth learning one or two things from. Interestingly, Blom never took any training in poker games except the training given to him at the age of fourteen by his brother.